Increasing deliverability is a noble goal for every email marketer. And while you may be able to boost your rates with subject line and offer techniques, there is an underlying issue that often gets overlooked: list building. People who don’t explicitly sign up for your newsletter will be more likely to send you to the spam folder. People who sign up for your list accidentally or only as a result of another promotion will be unlikely to remain active. Purchased or rented lists have high unsubscribe rates because they consist of people who haven’t showed any interest in your products or services. Deliverability depends heavily on your subscribers wanting the messages you send them. If they didn’t sign up to receive your messages or they don’t remember signing up, they’ll hit the spam button. Respecting your subscribers’ right to choose which messages they receive and which ones they don’t can make a huge difference in how many of your emails reach their intended destination. In order to achieve better deliverability rates, implement these proven list-building strategies. Use double opt-ins whenever possible. By sending an initial email with a link that must be clicked to complete the opt-in process, you increase the likelihood that your subscribers will remember signing up. Make it easier to unsubscribe. Sound counterintuitive? Look at it this way. If a subscriber can’t easily see the unsubscribe link, he’ll hit the spam button instead, which will chip away at your deliverability rates. By making the unsubscribe link more visible, you ensure that the email addresses on your list belong to people who still want what you have to offer. Monitor and remove both hard and soft bounces. A hard bounce should be removed immediately from your list, while a soft bounce can be retried several times before removal. 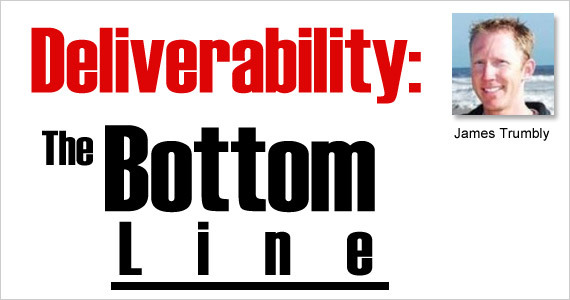 Either way, don’t let bounces sabotage your deliverability. At eConnect Email – a full service email marketing agency, we help you maintain stellar deliverability by helping you monitor the vital stats of every email campaign you send. Takeaway: Keeping your lists clean ensures that the highest number of emails possible will reach their intended destination, meaning greater return on the investment you’ve made.